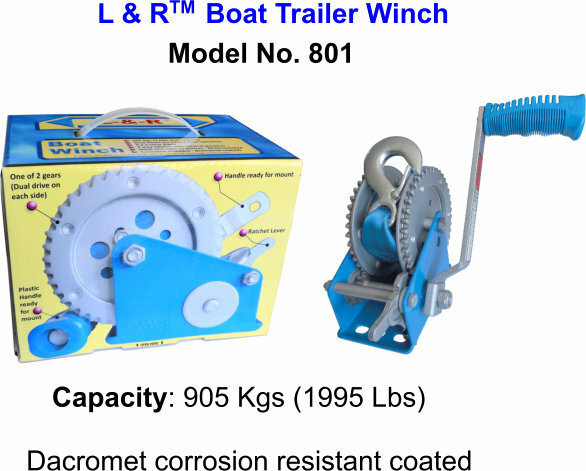 An exceptionally good value Trailer Boat Winch which covers all but the really big boats. Complete with dual drive, tape & corrosion resistant coating. What strength required for my boat ?A common rule of thumb is Winch Capacity = 1/2 boat weight (see notes for exception on Winch Brochure).